This Drama is one of the better ones that I have seen. It is a "Dramedy", meaning it is a Drama Comedy. It deals with a serious subject of a broken home, a new marriage and the conflicts with dealing with that while juggling, a new business and a new school. The child feels like he is being passed around and passed over and just wants to fit in and be accepted. Mix in a little new marriage conflict with a new business conflict and a new mother trying to fit in with her community at a prestigious school with competition of mothers there and you have the drama part. the comedy part comes in with how creatively they deal with all the stress, and ultimately come out on top. Perseverance is the noun, action is the verb! How they Conjugate their pronouns will leave you laughing and crying through out the series. Can't imagine I'll ever watch a show as good as this again! Every episode of Wild Mom was fantastic and the wisdom, easy humour and everyday familyintrigues were finding it's way directly to my heart every time! As said: Can't imagine I'll ever watch a show as good as this again! Wild Mom made me burst into laughter time and time again. It also made me cry and reflect on life differently. I love Ayu, Tetsu, and Yuuki! They're sweet and it makes me aspire to have close fun bonds with my own family one day. It's a beautiful insight of family and life, and it shows you what real love is. 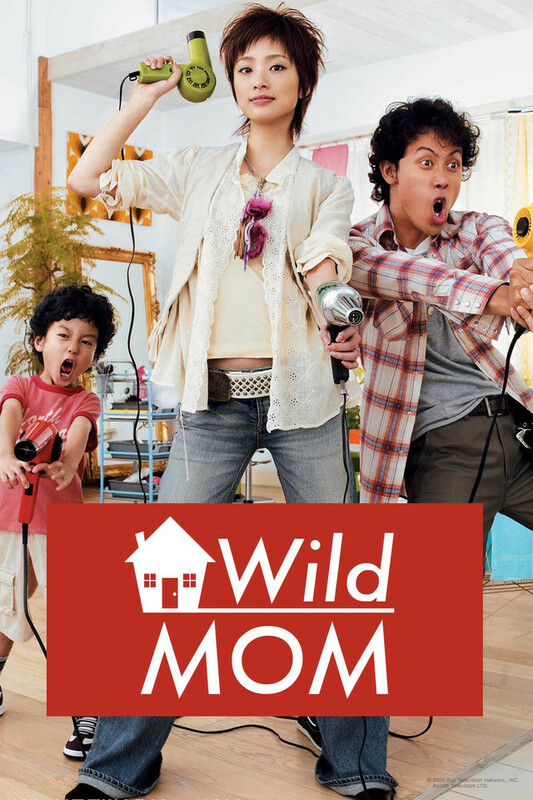 To all the other Wild Moms out there, you need to watch this show! Until now, I had only watched anime and having exhausted all the ones that interested me on Crunchyroll I turned to the drama section. As a mum of 2 year old twins, a quick read of the description and I knew instantly this was for me! The show itself did not disappoint! It's a very tender story with some great situational comedy thrown in. What I liked most is the insight it gives to Japanese culture and family life. I especially liked the scenes with the other pre-school mum's and Ayu's naive but sincere approach in dealing with them. The characters were all very relatable and while younger audiences might not enjoy it anyone who has children definitely will! It's a touching story that will have you laughing at times and crying at others. Very entertaining, I enjoyed every minute of it! Wild Mom is a Must Watch! This about a boy who mom left him to stay with his dad. So the dads new wife has to be a mom to him which suposable "ruins" their lives. I usual dont like japanese dramas but this one is just amazing. Every episode makes me cry. Its just so good. I suggest everyone shouls watch this show. We got a dad married to a young woman named Ayu , And without her not knowing, it turns out he has a son from his previous relationship which Yukki appears later on . Ayu didn't seem so happy at first but she accepted and faced it with a positive attitude trying to make Yukki to open up with her. As things progress, They'll be facing other conflicts which will leave you to keep watching! The review by Bankshot explained everything I wanted to say but much better; he took the review right out of my mouth and wrote it more clearly. It took me awhile to get used to the funny faces they'd make and Ayu's almost childish attitude but it worked itself out. I still didn't like Yuuki's mute and bland-like personality (the cover picture is misleading to how he really is). Ending was different from my prediction. Like i said before, just read Bankshot's review as I feel the same way.